Citrus trees are part of the Arizona landscape, especially during their peak season here from November to January. I wish we had a lemon tree in our backyard, but I’m working on it 🙂 However, we are very lucky that in any given year, one or more of our neighbors are very generous in sharing and it’s not uncommon to find bags or boxes of them for free as you drive through our subdivision. I was thrilled to have found them again this year. But … then I had about 18-20 softball sized Meyer lemons. Not sure what to do with them, I juiced every single one and froze them in ice cube trays. Those rendered 9 CUPS of lemon juice. Always looking for recipe inspirations, I stumbled upon several variations on this one. Meyer Lemon Coffee Cake. Yum! Here’s a few fun facts… Arizona is one of only four citrus-producing states in the nation. (Texas, Florida, and southern California are the others.) Today, Arizona is second only to California in lemon production. Did you know that citrus trees are evergreens? That means they bloom all year long. Some varieties bud and produce fruit all year, though some seasons are more productive than others. 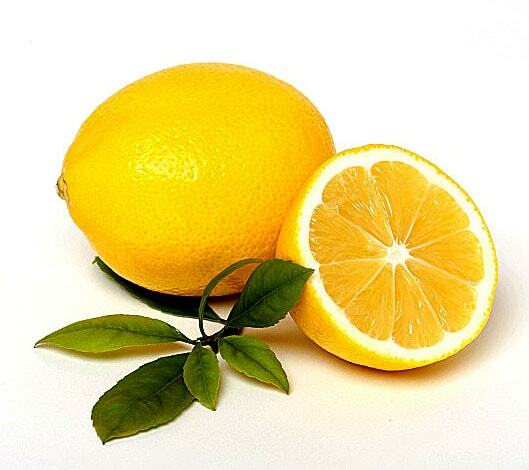 A single lemon tree can produce between 500 and 600 pounds of fruit in a year. Now you know why our neighbors are so willing to share! 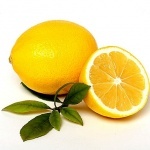 So what makes a lemon a ‘Meyer’ lemon? A Meyer lemon is a citrus fruit native to China thought to be a cross between a true lemon and either a mandarin or common orange. It’s very fragrant and bright yellow/orange in color. This cake is really easy to put together. 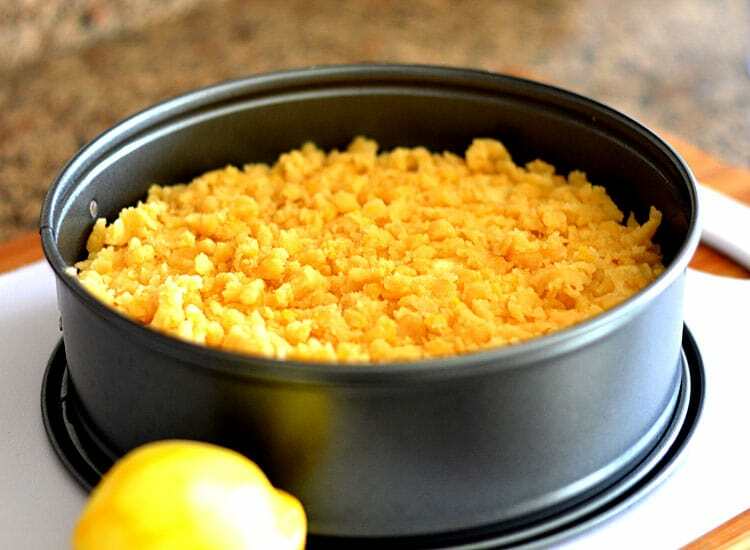 It begins with a typical margarine/sugar combination and alternately adding dry and liquid ingredients. After spooning the batter into the pan, create the streusel topping and using your fingers, crumble evenly over the top. Bake at 350 degrees for 35-40 minutes. Ovens and baking times vary, so use a long toothpick or skewer to test for doneness. Let the cake cool in the pan for about 20 minutes. I used a springform pan and then loosened the clasp on the side and allowed the cake to continue cooling. If there are any areas that stick, just run a small knife around between the edges of the cake and the pan. The top should be nice and golden at this point and a toothpick inserted should come clean. And here’s the final product. It smells so incredibly amazing. You could opt to make a simple powdered sugar glaze to drizzle just before serving or, serve with a small scoop of cashew, almond, soy or coconut milk vanilla ice cream. I chose the cashew and added a few fresh blueberries. 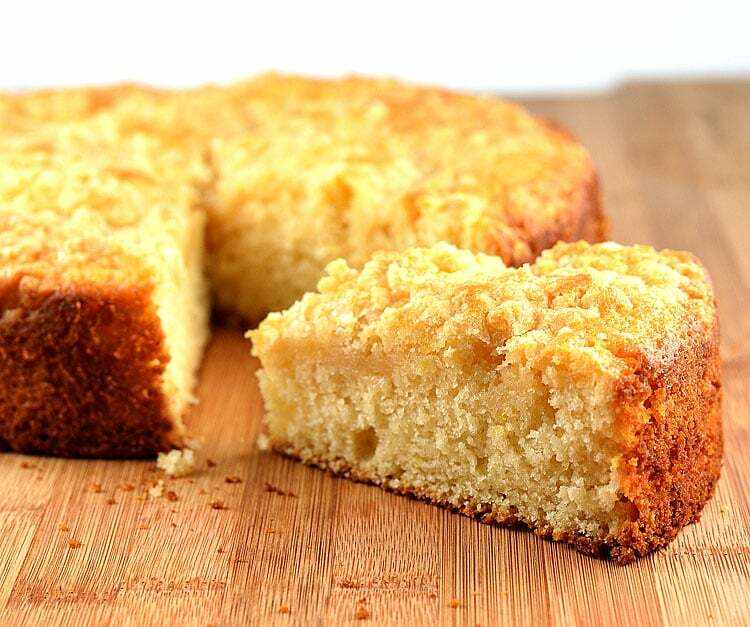 Prepare a non-stick cake or springform pan with cooking spray. Set aside. Prepare the "buttermilk" mixture by combining the almond milk and apple cider vinegar. Stir to combine and set aside. Meanwhile, add the softened vegan margarine and sugar to the bowl of an electric mixer and beat until fluffy and combined. Zest the lemons, 1 Tbl for both the batter and the topping. Set aside. In the bowl of the electric mixer, add the whisked silken or soft tofu and 1 Tbl of lemon zest. Beat until combined. Add 1/3 of the flour mixture, followed by the lemon juice and beat just until incorporated. Follow with another 1/3 of the flour mixture and then the buttermilk mixture and beat just until incorporated. Lastly, add the remaining flour mixture. Mix just until incorporated. Do not overmix. 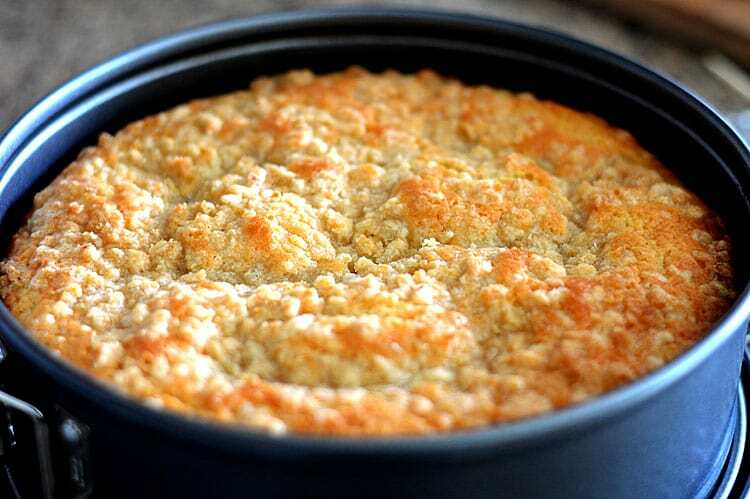 To prepare the streusel topping, combine all ingredients and using your fingers, crumble evenly over the batter. Bake for 35-40 minutes or until a toothpick inserted comes clean. Do not overbake. Allow to cool for 20 minutes in the pan before removing to cool completely. Yum! 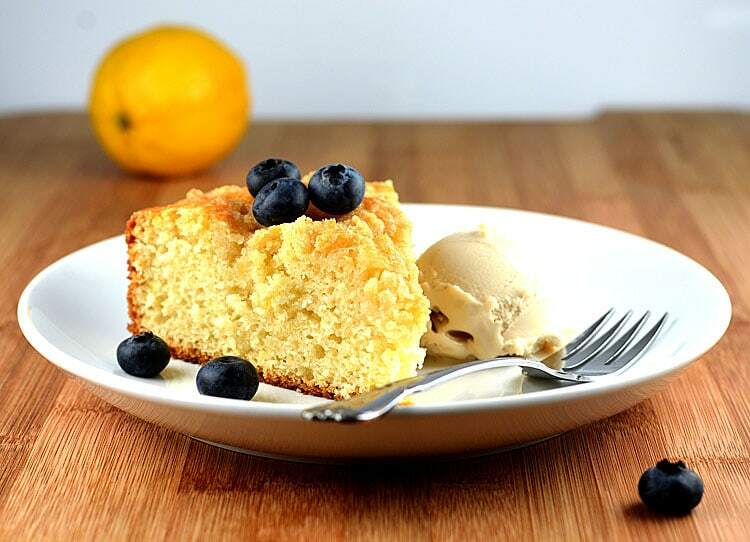 It’s so funny that citrus trees grow fruit in the winter, but they seem so perfect for spring – like this cake!